Welcome to Glen Hills, where residents enjoy sprawling acres of beautiful landscaping, a central location in Glendale, close proximity to shopping, dining, and entertainment, and convenient amenities throughout the community. 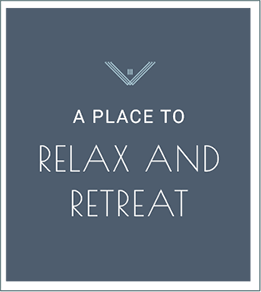 We have a variety of floor plans for one- and two-bedroom apartments that are spacious and filled with convenient amenities and comfortable features. In addition, we’re pet-friendly! Inside our apartments for rent in Glendale, you’ll find features like large closets, washers and dryers in select units, updated kitchens and baths, and air conditioning. Our community boasts intercom building entry, an online payment system, resident events, picnic areas, and more. Our main focus is resident satisfaction, and we’re proud of the reputation we’ve worked so hard for. We’re sure to have an apartment that has everything you’ve been searching for, so contact our staff today to schedule a personal tour! Glen Hills has a wide variety of floor plan options from which you can choose. 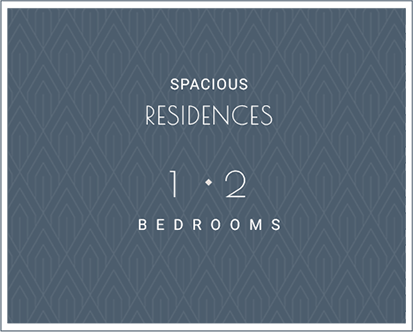 We have several one- and two-bedroom options, ranging in size from 649 square feet to 952 square feet. Select units have washers and dryers, and they all have large closets and patios or balconies with spectacular views. Large windows allow plenty of natural sunlight to filter into each apartment home, and generous-sized living rooms allow for premium roomy comfort. Kitchens and baths throughout our community have been updated to ensure modern convenience in every home. From the air conditioning and breezy ceiling fans to the spacious bedrooms, Glen Hills offers apartments in Glendale, WI that are conveniently detailed, expertly designed, and value-priced to ensure that our residents love every aspect about living here in our community. Contact our friendly staff today to check availability! Both within your new apartment and just steps from your door, you’ll find plenty of reasons to love Glen Hills. Our grounds cover 13 acres of beautiful landscaping, and within our community are convenient laundry facilities, picnic areas, parking spaces for every apartment, and professional technicians for maintenance. We are pet-friendly, and offer package receiving and vacation house-sitting services, too. Our in-home amenities include everything you’d expect from great apartments for rent in Glendale like air conditioning and ceiling fans, dishwashers, updated kitchen appliances, modern design throughout, cozy carpeting, cable and internet availability, and even washers and dryers in select units! Our residents love the controlled access and private patios and balconies our apartments offer – not to mention the terrific views. See for yourself everything that Glen Hills has to offer; contact us now to schedule a personal showing. More than just a place to live--offering daily relaxation and revitalization, Glen Hills Apartments are a complete living experience. One of the best features about Glen Hills is our ability to provide residents with a home in a central location that is within easy distance to all the best the area has to offer. From Bayshore Town Center to Anytime Fitness and from Villard Square Library to Rocket Baby Bakery, there are many, many popular destinations nearby! Shopping, Entertainment, Recreation, Dining, and More! Our community is within short walking distance of several bus stops, and we’re a short drive with easy access from I-43, and Highways 145, 45, and 100. Enjoy a huge variety of nearby grocery stores, and enjoy dozens of restaurants that are “just around the corner”. It’s never a far journey to a movie theater, and several excellent schools in the Glendale School District with all grades are nearby as well, as are Cardinal Stritch University and Concordia University. No matter where you’re going, you’ll never be far away when you make a Glen Hills apartment in Glendale your next home! Get in touch with us today to learn more. 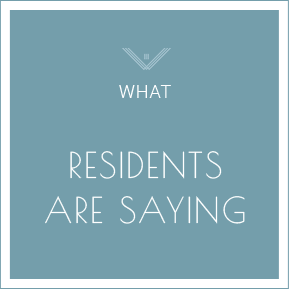 Take a look at why our residents love living at Glen Hills Apartments. Find a New Apartment for Rent in Glendale, WI Today!